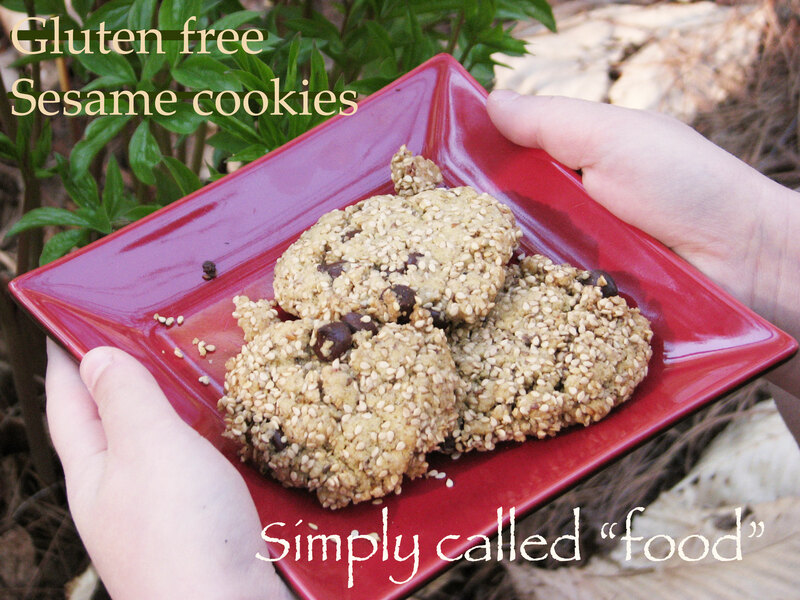 Gluten free sesame cookies | Simply called "Food"
Combine the flax seeds and the water and set it aside for 10 minutes. Put together the flours, the salt and the baking soda. In a bigger bowl, cream the butter and the sugar. Mix the flour in and add the vanilla, the flax seeds, and the sesame seeds. Add the chocolate chips and mix it all well. Take about 2 tbsp. (30ml) of batter and put it on a cookie sheet. Cook them for 15-18 minutes, until they turn golden. The more you let them cool, the crunchier they get. Tags: Chocolate chip, Cookie, dessert, Food, Gluten free, Recipe, Seeds, Sesame, Snacks, Vegan, Vegetarian. Bookmark the permalink.